The Kitty Kats perform a collection of beloved songs from the jazz songbook, along with classic Australian hits, three-part a capella harmonies and party favourites so you can kick up their heels, sing along and jive out on the dancefloor. 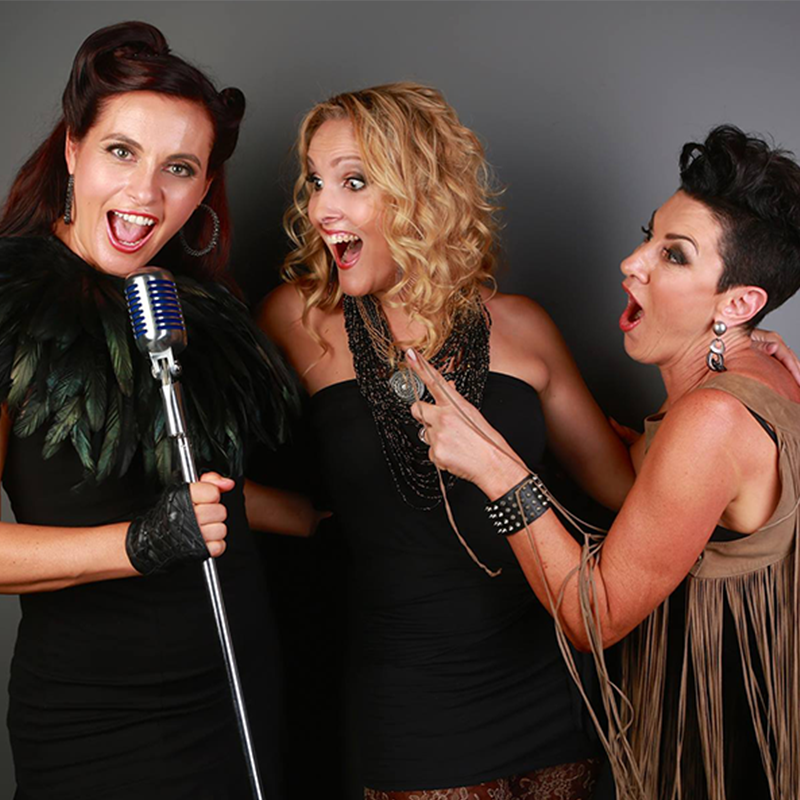 The Kitty Kats feature vocalists Michelle Brown, Renae Suttie and Susanne Campbell. With a sassy mix of 3-part acapella harmonies, cabaret, swing, blues, and rockabilly The Kitty Kats will have you dancing, crying, singing, laughing out loud, and “loving the skin you’re in”.